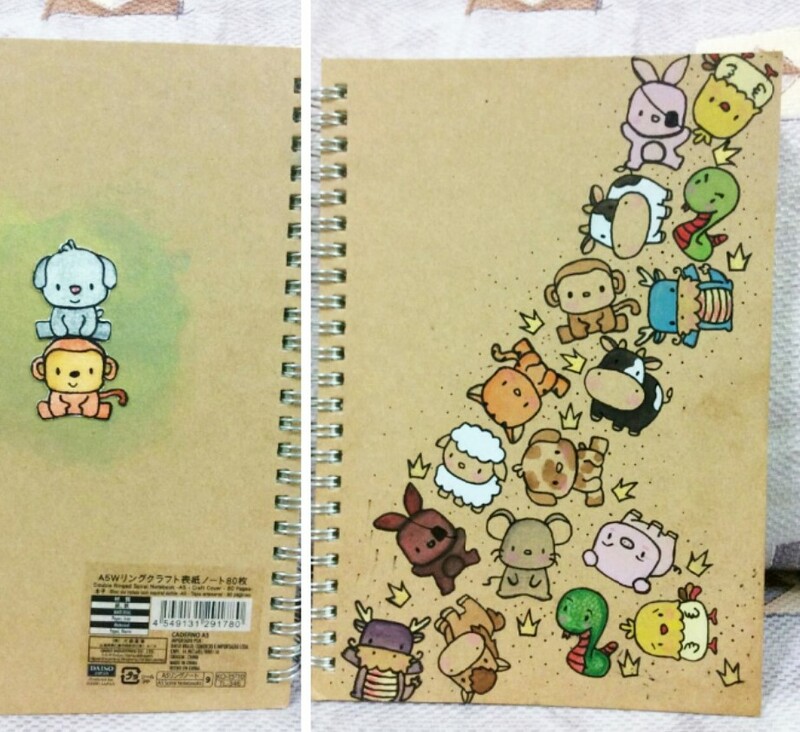 I’ve been wanting to make my own notebook. 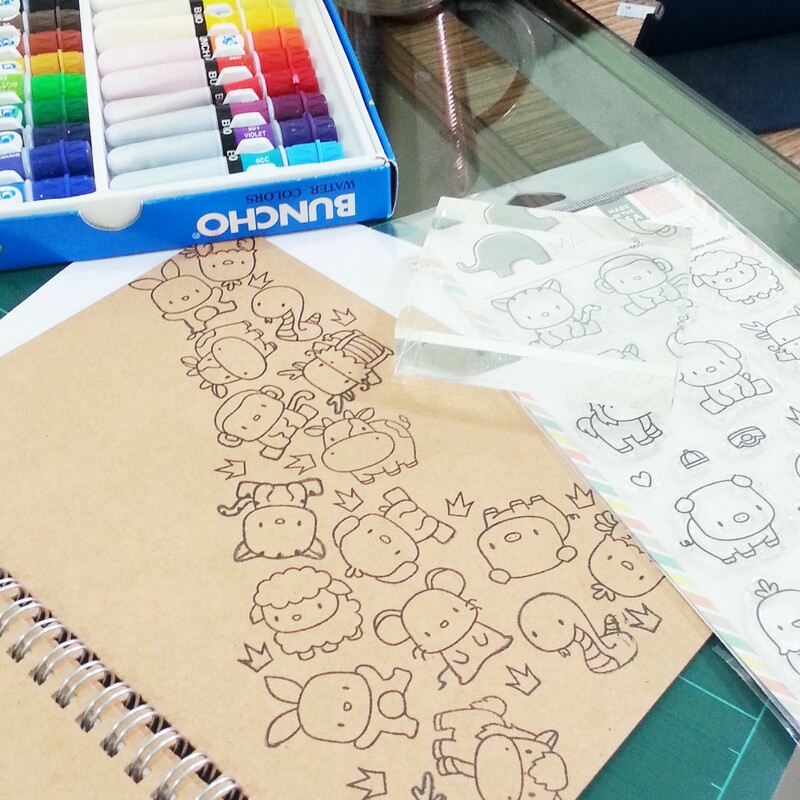 And so I decided to buy a plain notebook from DAISO and to decorate them with my stamps! I played my Mama Elephant’s Lunar Animal stamps, which are just super adorable!